Dr. Jerry Alewine, chair of Newberry College’s Department of Respiratory Therapy, has been named the 2018 Leadership Practitioner of the Year by the South Carolina Society for Respiratory Care (SCSRC). “You have demonstrated a dedication to your program, students and the profession, which has earned you this honor,” noted selection committee chair Cayce Hendrix in the award letter. SCSRC recognizes up to three practitioners statewide each year who strive to elevate the respiratory care profession in either a clinical, education or leadership role. With more than 20 years in the field of Respiratory Care, Alewine has served in all three capacities. Alewine has spent the past 10 years in teaching and leadership roles in higher education. He joined Newberry College in 2017 to develop and launch the institution’s new Bachelor of Science in Respiratory Therapy online degree-completion program. Prior to joining Newberry College, he served as dean of the Division of Health Science (2008-2017) for Piedmont Technical College in Greenwood, S.C., and previously served as PTC’s director of Clinical Education for Respiratory Care (2001-2008). Alewine also has more than two decades of clinical experience working as a Respiratory Therapist at Self Regional HealthCare and Providence Heart Center. Throughout his career, Alewine has worked to advance the field of Respiratory Care. 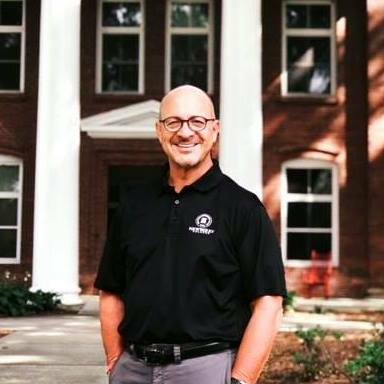 He is a former president of the South Carolina Society for Respiratory Care and currently serves on the Board of Trustees for Newberry County Memorial Center. His past efforts on behalf of his patients and the industry have garnered recognition. He received the DHEC Maternal and Neonatal Champion Award (2004) and was recognized as South Carolina Practitioner of the Year by the South Carolina Society for Respiratory Care in 2006. Alewine will be recognized for his latest accomplishment by the South Carolina Society for Respiratory Care at an awards banquet during the organization’s SCSRC’s fall conference in September at Myrtle Beach, S.C.